Completely rehabbed other than the foundation floor plan effective age of home 2017 by Builder!!!! 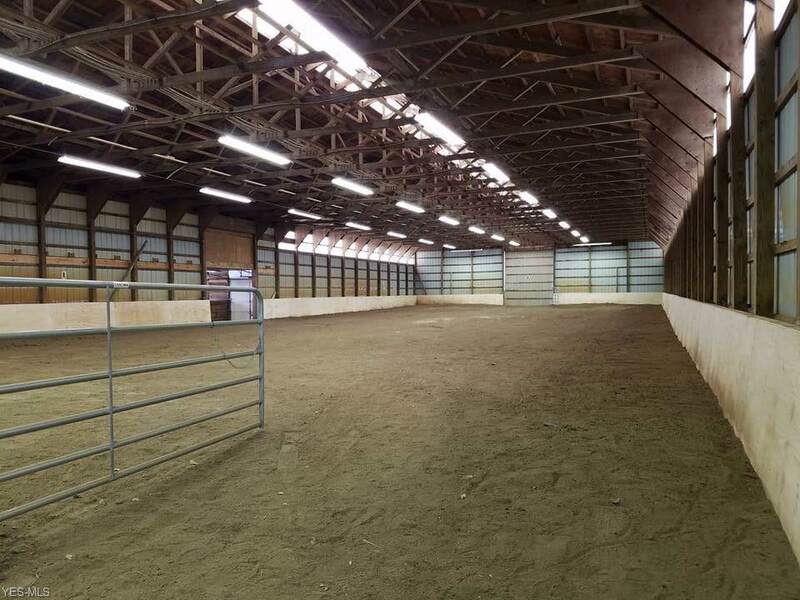 HUMONGOUS outbuilding for storing cars - turn into a Gallery - use as an antique or auction house or use as a Horse Boarding facility which was it's prior use....33 Stalls - Indoor Arena with sprinkler system - viewing room for arena - Tack rooms - Hay loft - Hydrants and Pastures plus good amount of Parking. Pond and Stream - great water features already there! Home/Barn/Pastures set off County Line on Private street - very isolated and private. COMPLETE REHAB/REMODEL/RESTORE!!!! TWO master suites - one up and one on main floor - PLUS another self contained IN LAW SUITE for the caretaker of the Barn or family unit - you decide! THREE MASTER SUITES....all master suites have their own FULL bathrooms....With 3 more bedrooms - another Full Bath and a half bath on main floor. Jazzy Main Floor Laundry Room. 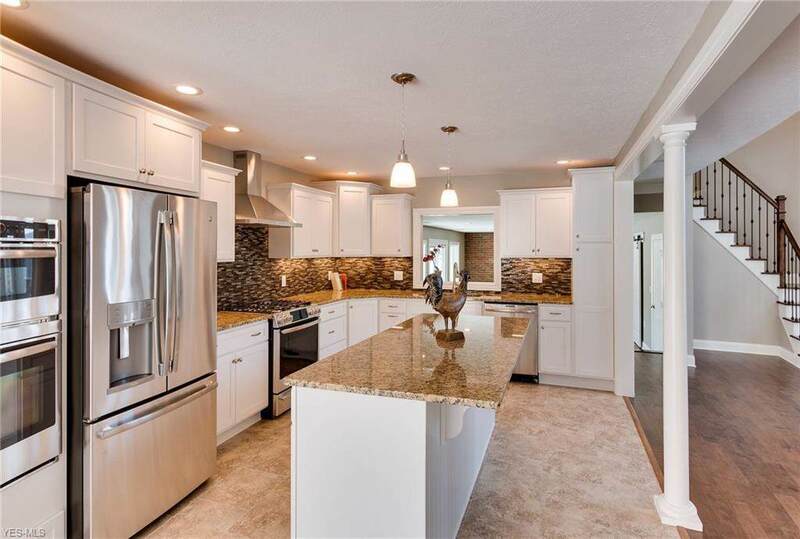 The Best is yet to come - Kitchen WOW appeal- columns, granite, glass backsplash, ceramic flooring, new stainless appliances - open to D/R. 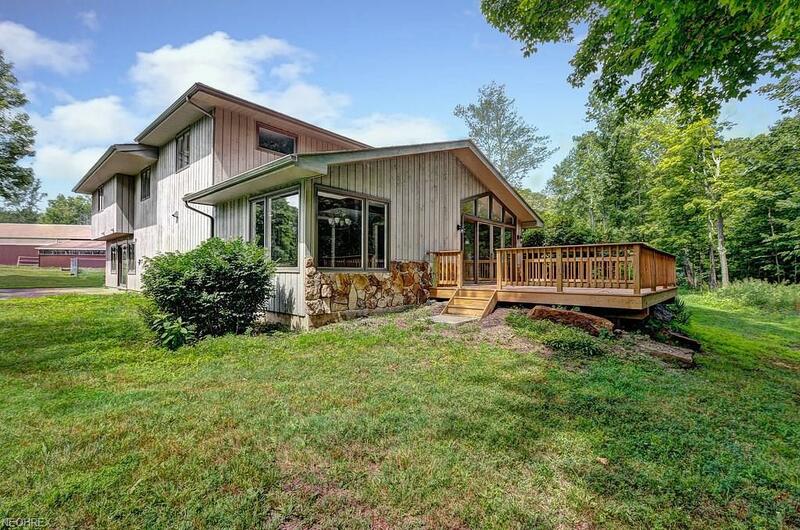 Living room overlooks the stream/landscaping boulders/20 by 20 deck - great for entertaining! 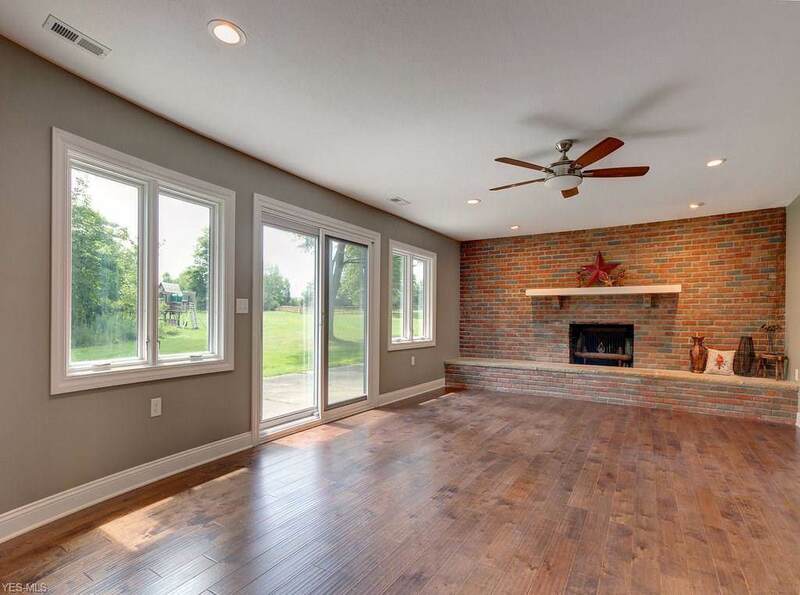 Family Room boasts brick fireplace with seating across length and great mantle, overlooking cement patio for entertaining. 2 story foyer is breathtaking. 4 car garage attached to the home - turnaround drive for trailers and more - everything new, new new! air conditioning, new furnace. Added bonus: Sauna in one of the master suites.